Other Distinguishing Features: Wears full body armor and has a black skull for a head that is constantly in flames. 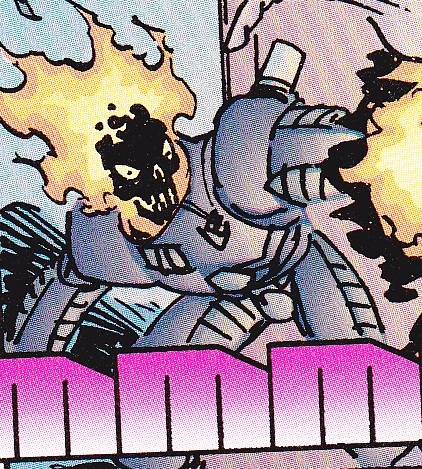 Powers: Super-strength and is able to shoot flames out of his arms. Skullfire is a member of the Vicious Circle in attendance at a new member initiation. The ceremony is attacked by Dragon and many of his allies. During the attack he burns WildStar to death.